This piece of paper was what I was given as I left the psychiatrists appointment room that day in January this year, feeling deflated, suicidal, defeated, crushed & unable to pick myself up. I felt my life was over. When I finally went back to my GP 3 years ago I knew my mental health had deteriorated & the feelings I was experiencing weren’t normal, but I felt reassured when my first assessor mentioned bipolar . I’d heard of it & it seemed like it wasn’t that bad. It was well known, almost cool, with celebrities such as Stephen Fry, Catherine Zeta Jones & Demi Lovato being open about it, explaining away their quirks & misdemeanours. I’m not saying it is, it was just my twisted perspective. I can’t imagine what those suffering with bipolar go through, I know they too are misunderstood, struggling for support & resources & don’t want the stigma anymore than I did. When I was diagnosed with Emotionally Unstable Personality Disorder, also know as Borderline Personality Disorder, it was not what I was expecting & I was mortified. I had not signed up for this illness which basically said the very core of who I was was wrong, my personality was disordered. Surely we are our personalities? If that is wrong or disordered, what else is left of me to be right? There was no-one shouting from the rooftops that this was their hangup, it felt like just me, there was something wrong with me. My personality is or was everything I thought I was. I had always perceived myself as kind, caring, funny & clever. How could that be distorted or wrong? There was no “chemical imbalance” or comfort from others who may too have experienced depression, this was real, it was just me, me who was not, is not, normal. The fact that the majority of causes of this condition are mainly genetic & childhood trauma offered no redeeming benefit for me, just that I was unable to handle life like everyone. I just worried even more now than I would now cause this to be inflicted on my children because of my genes. It was hopeless. I was a hopeless cause. I had been on an assessment day for a job 4 years ago & failed miserably. When I enquired for feedback they found it hard to give me, because all though I already worked within the organisation, they had found me to come across as trying too hard, false & unnatural. I couldn’t understand why when I had researched so hard to find what they were looking for, to call people by their names, to actively listen & respond, to take a lead but also allow others opinions. It’s only looking back that I realised this was one of the text book symptoms of a chameleon camouflaging against others who suffered with personality disorder. Trying to become what someone wanted instead of being myself. Because I didn’t like me, or didn’t know who the me really was. I can & do change my voice, my opinion, even my mannerisms at times to fit into the environment I’m in. It’s not something I do consciously, but it happens because I don’t know how to behave & act. I just want to be liked, so I lack opinion & want to blend in with the crowd, unless I’m making everyone laugh & being the bubbly funny character I think is the real me. Looking back even further, I can see I was like this at school, coming across as two-faced or sitting on the fence, but really I just couldn’t choose between black & white. If there was a grey area I was in trouble, making decisions & using my instinct caused me unimaginable anxiety of agonising nights laid awake pondering back & forth over every decision of right or wrong, never just believing there might just both be options, neither good or bad. 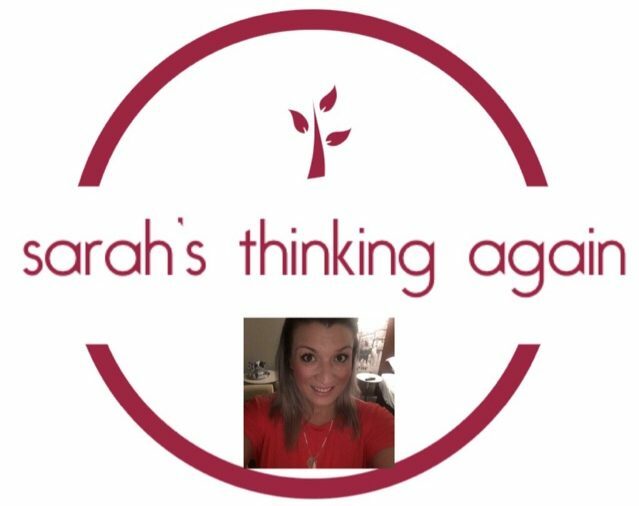 Since my diagnosis & researching my condition I am starting to adapt to new ways of thinking, there’s a wait of 2 years & while I’m waiting I’m trying new skills, focussing on positive traits & trying to appreciate the aspects of this condition which are good, like empathy & self reflection. It is a condition I have been told I can recover fully from, but it takes time & treatment. But I will get there. I have recently started to attend a support group which provides me with the validation that I’m not alone. I’ve never spoken directly to people who feel as intensely as I feel, who are paranoid beyond belief & struggle as I do when it comes to some of life’s simplest tasks. However I am learning that I have huge amounts of empathy, I care passionately about helping others & I love to learn. My children are my world & my focus & priority for every day. I care too much about what people think, but ultimately this means I work consciously hard to exceed expectations & go the extra mile. I am determined now to get better & finding out that DBT may be just around the corner & I believe that will hold the skills to my future. I want to be liked, I’m ambitious & I want to change the world for the better. Right now my two mini challenges are getting back to my job & to return to regular exercise with martial arts. I always try too much (& I’ll probably have 20 goals if you ask me tomorrow) but I’m trying to reduce my expectations, become realistic & set myself small achievable steps in the right direction. I really relate to this. It’s good to hear that others feel like I do.